My bags are packed. The new tyres are sitting proudly on the new rims. The route’s researched and planned. The jersey I’ll be wearing for two whole weeks is lying on a chair in my bedroom, as yet fragrant and unstained. The contingencies are written, the train, plane, ferry and youth hostel booked, and the Turkish visa optimistically applied for. As I type this, my bike is sitting outside the cafe, looking extremely handsome in its Apidura bags, some of which are brand new, and some of which bear the scars of last year’s Transcontinental. Yes, I’m trying again. And it’s a funny feeling, stepping up to the start line for a second time, knowing that the only acceptable narrative is “this time, I have to finish the job”. I won’t be the only one, of course. Around half the field dropped out of last year’s race, and many are back with scores to settle. James Hayden, who led the race so spectacularly for the first few days, and then was forced to quit in Montenegro, with a bad case of Shermer’s Neck, has devoted the whole of the past year to getting himself in shape for Transcontinental 2016, and is back “with a vengeance”. I planned to do the same, but very quickly my life (and other adventures) caught up with me, and my initial interest in heart rate zones and performance diets ended up being displaced by moving to Wales, learning to mountain bike (and surviving the terrifying and wonderful 24-hour Strathpuffer race), founding The Adventure Syndicate (and launching it with our record-breaking North Coast 500 ride), supporting Juliana in her attempt on the Race Across America (and cycling from Seattle to the start), and generally trying to keep body and soul together in between times. Oh, and I published a book, and spent the first couple of months of the year cycling around the UK promoting it. Goodness – until I wrote all that down, I didn’t realise what a busy year I’d had! I thought I’d been dragging my feet. So yes, there’s been very little time for anything resembling a formal training plan, and the Transcontinental has been continually bumped down to second place on the To Do list, because there was always something else that seemed more urgent. Now everyone’s asking me if I’m ready, and I find it hard to know what to say. I haven’t devoted every waking minute to this single goal, the way some have. 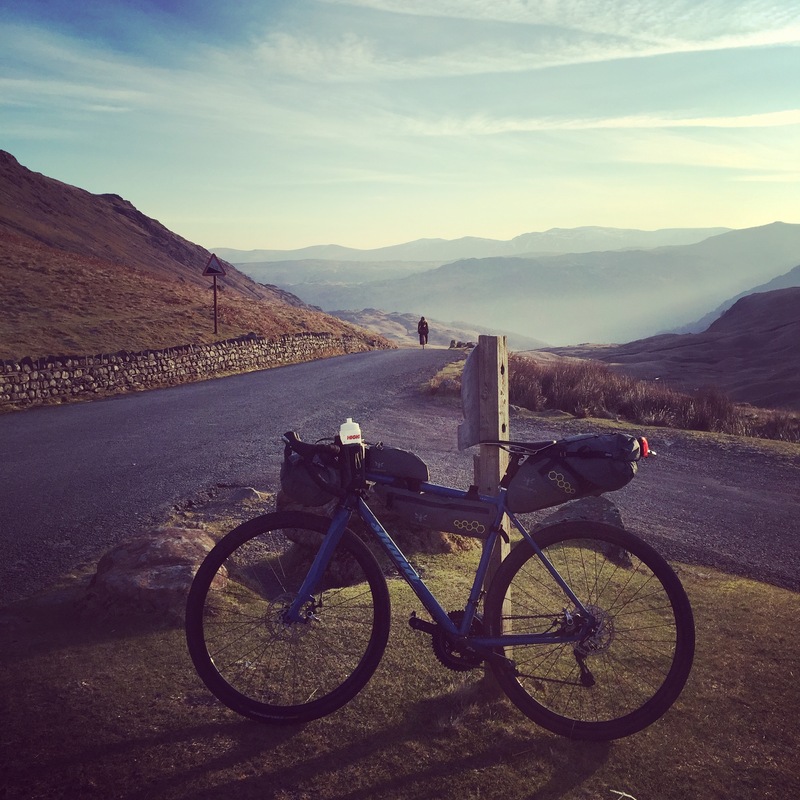 I haven’t weighed every single item I’m carrying, or spent six months tweaking my route to take in the strongest tailwinds, smoothest tarmac and fewest climbs. I haven’t figured out my optimum sleep cycle, or managed to convert my body to burn fat instead of carbs. And in addition to that, I’ve spent most of the past twelve months exhausted, constantly complaining of tiredness, catching every single virus that came my way, and worrying intermittently about the ominous, deep-down fatigue that lingered over my head like a dark cloud. But when I look at all I’ve done, I find that not only can I partially explain the exhaustion – I also realise that my training may have happened without my even noticing. I’ve cycled virtually everywhere this year. That rainy, snowy, sleety 300km I rode overnight from Manchester to Oxford (because I had two talks on subsequent days) will have helped, as will the 130-mile days I averaged trying to ride from Seattle to LA in time for the start of RAAM. 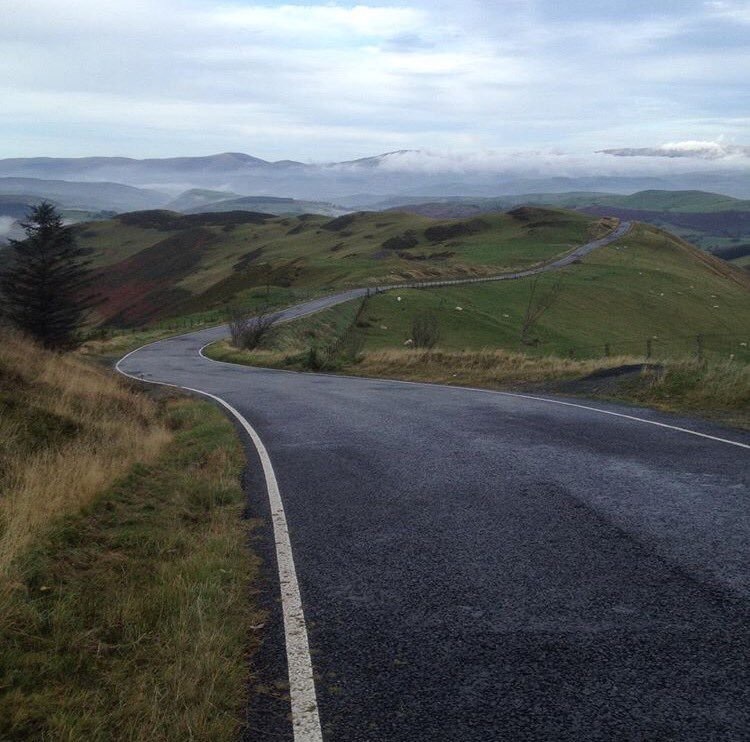 And, when you live in Wales, hill-training happens of its own accord. I rode the Fred Whitton route with bags on my bike. 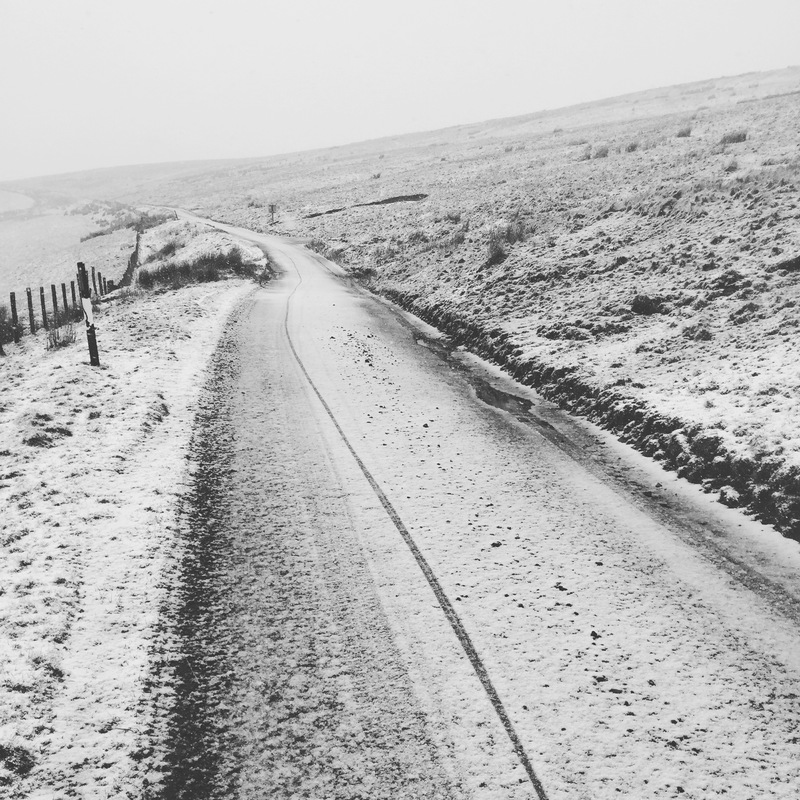 I completed the Elenydd Audax in 15 hours, despite being hit by a snowstorm in the Cambrians. To anyone else, it must look like I’m having a hugely successful year on the bike. Maybe I am. Maybe I need to be more objective about these things. 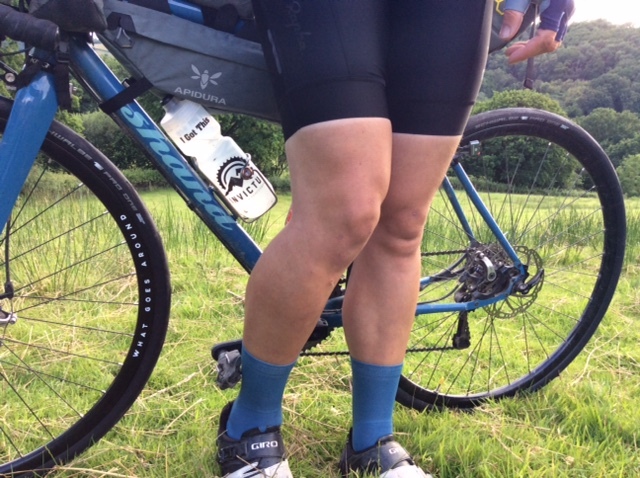 After all, this time last year I was roaring with confidence, drunk on my own potential, “halfway through one of the most successful years of my life so far” – and yet I failed to complete the Transcontinental. It didn’t even feel like a failure at the time, because I’d enjoyed myself so much, and already exceeded what I thought I was capable of. Just because I now feel nervous and ambivalent, doesn’t mean I won’t do well. I walked into my local pharmacy yesterday, and was hit with a wave of perfume, a waft of antiseptic, a bouquet of synthetic florals – the odour of cleanliness. I remembered a morning last August, two days after I’d quit the race (and for some reason continued to ride 300km a day, as if trying to finish myself off for good), when I rattled along a gravel road in Serbia, sweaty and dusty and grimy and greasy, fantasising about cotton buds. My years of couriering and touring mean that I have a much higher tolerance for dirt than most people, but at that moment I realised I had finally reached my limit, and longed for the comfortable accoutrements of civilised life. This will happen again over the next two weeks, and there’s both comfort and terror in knowing it’s to come. I can’t decide whether I’m well prepared or not. I know I’ll suffer, and that you can’t really prepare for that; you just have to endure it. I know things will go wrong, and that I stand as good a chance as anyone of putting them right (and, with my years of touring experience, possibly a little more chance than some). I don’t know how I’ll react to the competitive aspect – the fact that this is actually a race. Last year I was the only solo woman left by the time I quit. If I’d finished, I’d have won by default. This year it’s rather different. 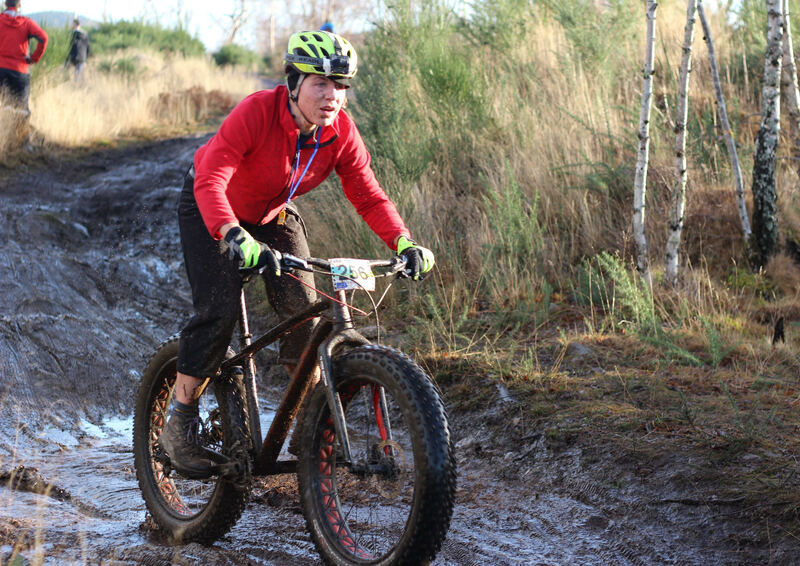 Will I be able to ride my own race, or will I end up obsessing over what the competition are doing? Will they even see me as competition? Am I the underdog, or the one to beat? Will my months of aimless long-distance cycling measure up to their carefully calibrated training plans? What do people expect of me? As usual, I can’t wait to get on the road; to be out there on my own with the bike and to leave all of these worries behind. But you’re never really alone on the Transcontinental. There’s always someone watching you on the tracker, be it a fellow rider or one of the legions of armchair dot-watchers. I didn’t fully get my head round this on last year’s race, or understand how my meandering progress across a continent could possibly be of interest to anyone else. It began to sink in the day after Ventoux, when I realised everyone had been watching me crawl up the mountain. And it sank in a little further when I caught up with Katie and Jayne (the only remaining female pair) in Istanbul, and found out that they’d been checking my progress from the road every few hours, marvelling at my lack of sleep, and knowing immediately that something was wrong when my dot stopped moving in Postojna. I’d barely been aware of their existence. I won’t be so innocent this year. It’s not the scrutiny that alarms me, so much as the expectations behind it. People will be surprised that I’m going faster than they thought – or they’ll be disappointed that I’m making such slow progress. Hundreds of different stories being written over mine, and I have no power to affect them. I’m tempted to try and downplay my readiness, to lower people’s expectations and make it more likely that I’ll impress them, but that’s a cheap trick, and I doubt it would work anyway. I might be ready. I might be strong. Whether or not I feel it, I’ve put in a lot of miles this year. I might do well. But I can’t promise anything. 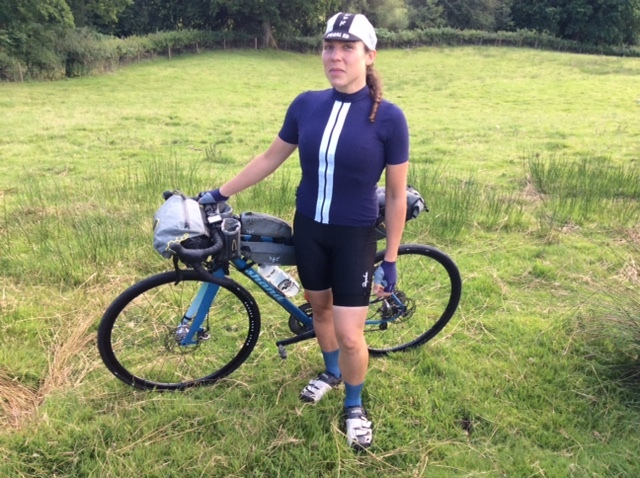 Whether or not things go to plan, I owe a big thank you to Apidura, for the bags, Rapha, for dressing me so nicely, Schwalbe, for the very fast tyres, and Shand Cycles, for the beautiful beautiful bike I’ll be riding.